Granite kitchen basin. Solid block of stone with no seams. 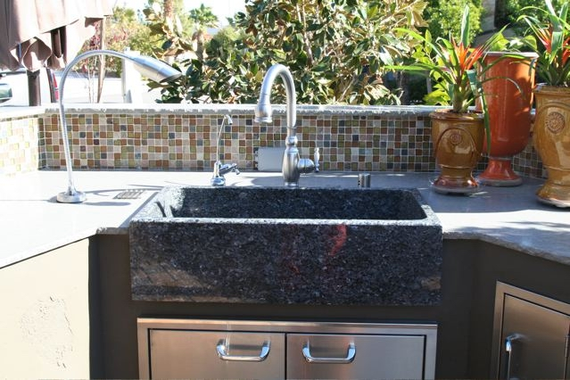 Great for outdoor kitchens as well!